Chinese media is fuming over the rapid rise in celebrities' incomes. The fat paychecks celebrities get for acting in movies and TV series have grabbed headlines during this year's annual sessions. Compared with the prevalence of Western culture in China, both in terms of its influence and the money it generates, it appears China faces a "culture deficit". To many people's surprise, one of the most popular recent TV reality shows has been Chinese Poetry Conference. What do a tiger, rat, dog, ox, and pig have in common with a bell and a drum? 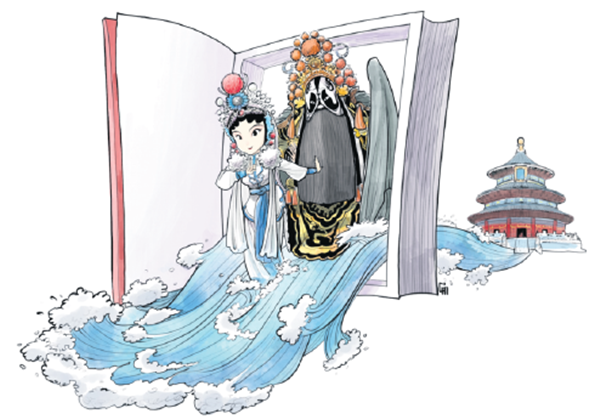 Chinese culture and arts keep drawing worldwide attention, along with a fever for learning Chinese language, and the expanding influence of Chinese academic works. Tuesday was Valentine's Day, a day when young men and women fret about not only what words of endearment are appropriate, or even what kind of promises to make, but also where to eat and what gift to buy their significant other. Has the country suddenly found new passion for classical literature? Or did the CCTV program tell us something about the state of education in China? 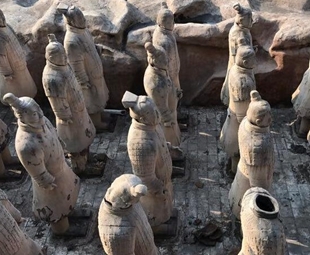 Thousands of forged terracotta warriors were on exhibition in Taihu county, East China's Anhui province, without the consent or authorization of officials overseeing the real ones.